Happy Monday every one! Despite the bad air quality today (PSI standing at 95% at this point of time, this is really bad! ), I hope every one is getting on well and no one is having Monday Blues. As you all know, I am in favour of home cooked meals hence my Foodie Fridays linky and I feel so loved with so many of you contributing to the linky with so many great recipes! Some of you are also my regular contributors and I can always look forward your mouthwatering dishes~ It was a feast for the eye and a torture to the tummy, from lip smacking local delicacies to sinful desserts, I sure wish I am able to recreate the dishes in my own kitchen. So I have this idea earlier this year, to feature some of the recipe that will give you an impromptu idea for the day's or week's meal, or to create that dessert for your family. Thus the birth of this monthly meme; Recipe Sharing Monday in my blog today. To kick off this auspicious day, here are 6 of the recipes from last 2 week's Foodie Friday's linky contributions. 5. Ayam Nangka Lemak by Beanie N Us! Since this is still in its infancy stage, some hiccups may be expected so please bear with me while I drink more "water" to get rid of them. I also welcome any suggestions, simply just comment in this post. I may do up a featured button for you to put in your blog post when I featured your recipe, but let's just put that in the To-Do-list and see how things progress. 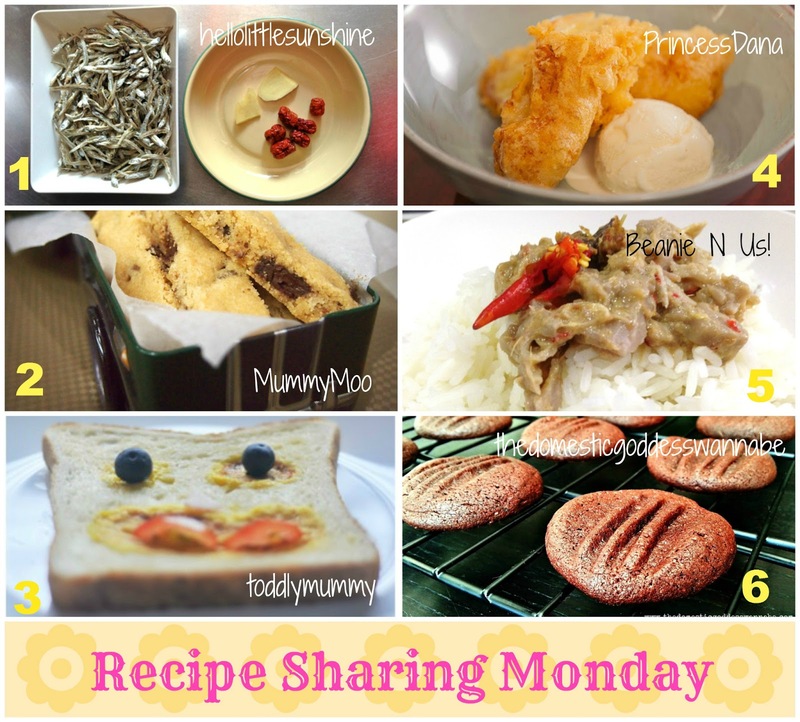 Till the next Recipe Sharing Monday post, remember to continue cooking and baking for your family!